Ulthera Ultherapy is a non-invasive FDA-approved skin-tightening being offered at Edgewater and Hoboken Cosmetic & Laser Centers. It utilizes ultrasonic energy to stimulate the deeper layers of skin leaving the outer layers alone so there is minimal to no redness or downtime. Ulthera Ultherapy involves one treatment of 40 – 50 minutes with minimal to no discomfort. It is commonly used on the face where it reduces fine wrinkles and tightens skin in the cheeks, jowls, neck and forehead. 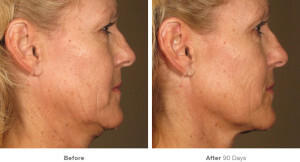 Ulthera Ultherapy at Edgewater and Hoboken Cosmetic & Laser Centers improves the appearance of sagging jowls and smile lines known as naso-labial folds. It can also be applied all over the body – to the chest, abdomen, stomach, arms and thighs. It enhances your own collagen production and one treatment can last 2-3 years. The doctors at Edgewater and Hoboken Cosmetic & Laser Centers use Ulthera Ultherapy to deliver heat-energy by ultrasound in order to stimulate fibroblast cells to produce more collagen. A Ulthera Ultherapy handpiece transducer is painlessly placed on the skin and the heat is applied at different levels according to the area treated. 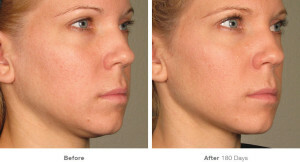 The depth of the treatment can vary from 1.5 mm to as deep as 4.5 mm to maximize the skin tightening with no downtime. 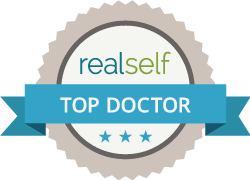 There is minimal to no discomfort with the Ulthera Ultherapy procedure. The collagen enhancement and results are gradual with effect peaking at 3 months after treatment. Usually one treatment with the Ulthera Ultherapy is recommended and can last 2-3 years. 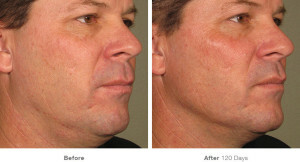 Ulthera Ultherapy is a FDA-approved skin-tightening device that uses ultrasound-derived energy. The doctors at Edgewater and Hoboken Cosmetic & Laser Centers perform the treatment in 40 – 50 minutes with zero downtime for the patient. It is commonly used on the face where it reduces fine wrinkles and lifts sagging skin and can last 2-3 years. 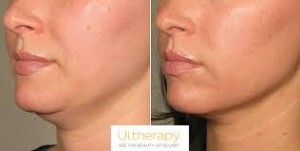 Ulthera Ultherapy tightens skin in the neck, cheek and forehead. 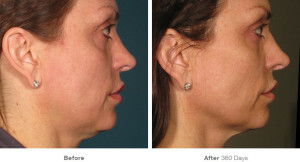 It improves the appearance of the jowls and smile lines known as naso-labial folds. Ulthera Ultherapy can also be applied all over the body; to the abdomen, arms and thighs. Ulthera Ultherapy patients receive numbing gel to the area to be treated. After waiting 20 minutes, the doctors at Edgewater and Hoboken Cosmetic & Laser Centers perform the treatment which takes 40-50 minutes. There can be mild redness and a tight feeling to the skin right afterward. There is no downtown and patients can return to work the same day. It is recommended to keep the skin hydrated with a moisturizer afterward. Since there is no downtime with Ulthera Ultherapy, you may return to your normal activities immediately. To find out more information on Ulthera Ultherapy, please call our offices at Edgewater and Hoboken Cosmetic & Laser Centers at 201-313-8899.